We find caring homes for thousands of commercial laying hens destined for slaughter each year and have hen collection points all over the country. To find the one nearest to you just click here. It is an Animal & Plant Health Agency requirement that all hens are traceable and therefore we require full contact details of rehomers. We do not make a charge for the hens or their adoption, but we ask for a donation to cover what we pay the farmers, vet fees, fuel, phone bills, trailers, equipment and feed as well as supporting our ongoing and very successful campaign work for a free range future. 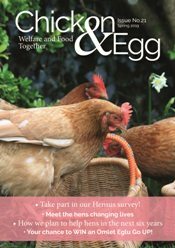 Please read our Frequently Asked Questions even if you have previous experience in hen keeping, there are important points you need to read. Register your details online or by phone on 01884 860084. You will receive an email confirming your registration. Whilst submitting your details online may speed up the booking process it does not guarantee a hen booking; we will still need to speak to you before confirmation of a hen booking can be made. 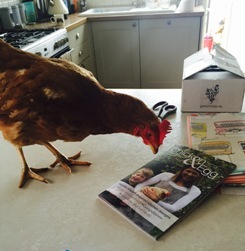 Call our Hen Central Reservations team on 01884 860084 to complete your booking and confirm your hen adoption.